The best way to have more fun on your trip and spend less time finding stuff to do. 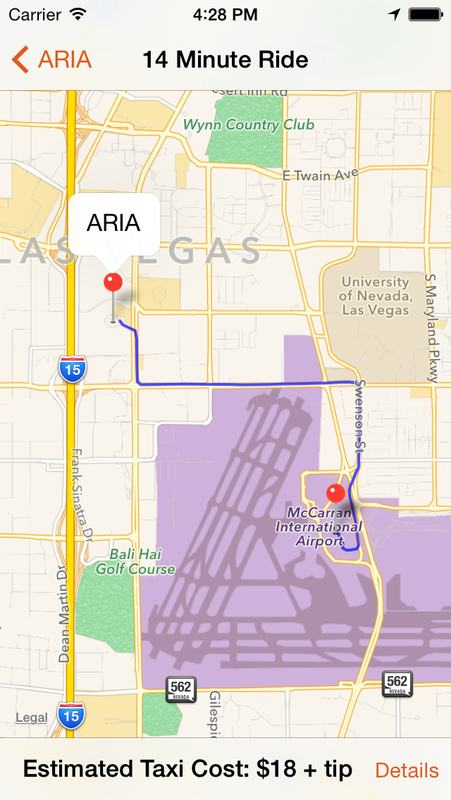 Estimate cab fare to popular destinations and know if you're getting long-hauled. Hungry? We've got you covered. 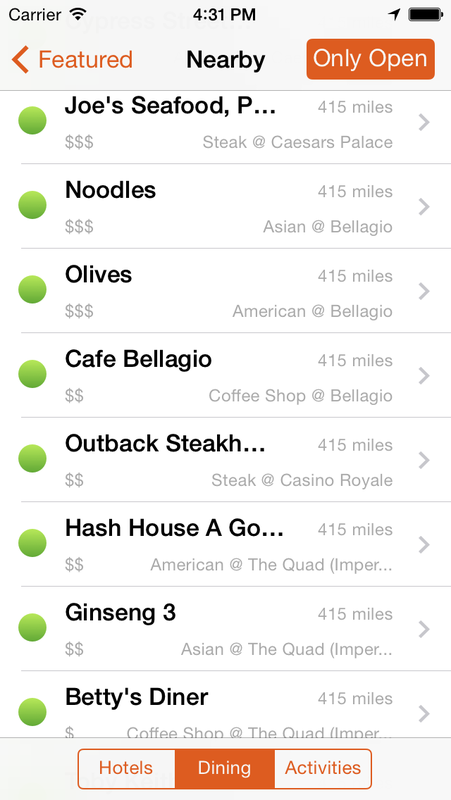 Quickly see what restaurants are open or closed at the moment and check their menus with ease. 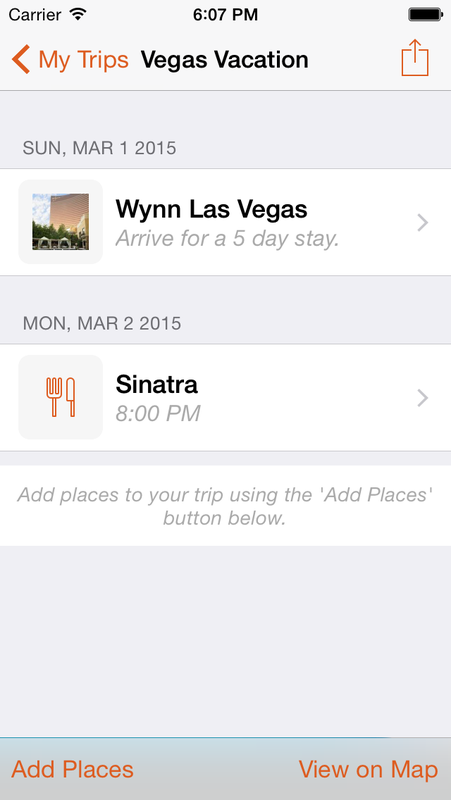 Create trip plans that sync with iCloud between your devices or shared with others. 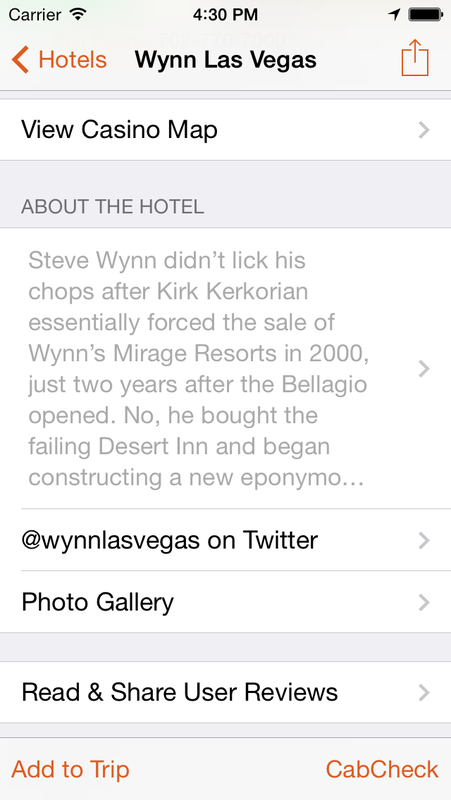 VegasMate is created by just one guy that loves Vegas and wants you to have more fun. I'm here to help.